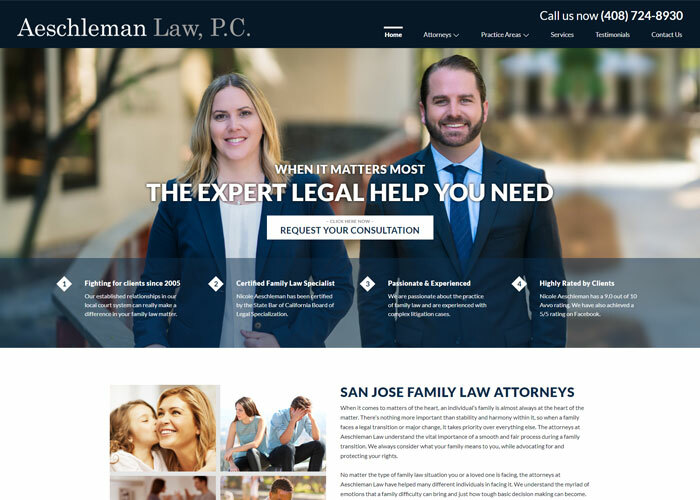 San Jose Family Attorney, Nicole Aeschleman, provides experienced guidance and representation to California individuals and families. At Aeschleman Law, P.C. our San Jose family law attorneys provide experienced family law guidance and representation to individuals dealing with an array of family law issues.